Networking Solutions from Currys PC World – Wired Routers, Wireless Routers, Powerline Networking and more! 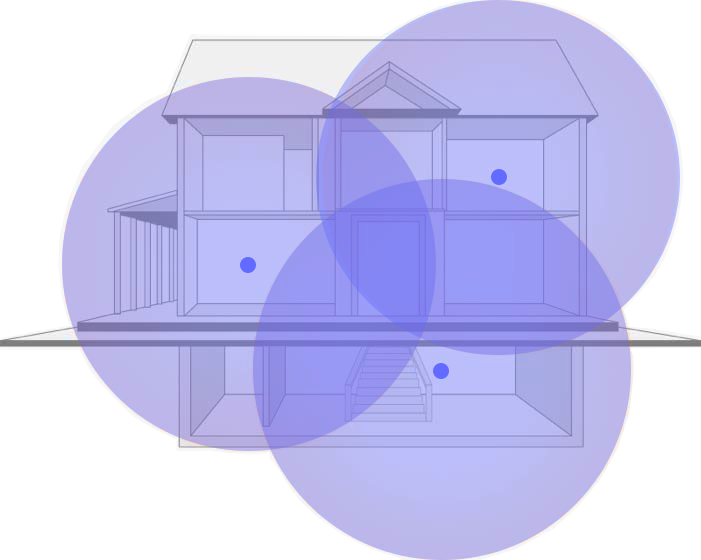 Whole Home WiFi systems use mesh technology to provide WiFi coverage throughout your house. Using multiple units dotted around, Whole Home WiFi ensures you get the fastest WiFi speeds in every room. The system is very simple to set up using an App on your smartphone and works with all broadband providers. The router is the wireless hub of your home and creates a local network of all your wired and wireless devices. Routers achieve a rating based on maximum speed and the number of devices that can connect at once - the higher the number, the faster and more stable the connection between your devices and the internet will be. 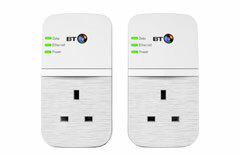 Powerline kits turn any plug socket in your home into a wired or wireless access point. They do this by sending a signal through the electricity ring main in your home - all you need to do is connect an adapter to the router and another near the device you want to get online. Range extenders take your WiFi signal and pass it on further into your home. They’re the ideal solution of you don’t get a stable connection when using your tablet in bed or struggle to stream music on your laptop around the house. 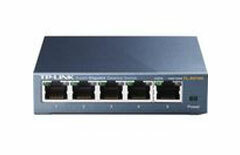 More suited to business or enthusiast use, network switches connect a single device or existing network to the internet. Although typically cheaper than routers, they don’t feature wireless connectivity or offer the same protection and ease-of-use. 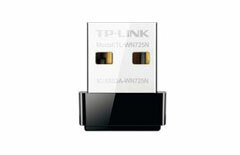 Wireless cards and adapters allow the device they’re plugged into connect to the internet. If you have an older PC or stream, game and download a lot, a higher rated wireless card will allow you to get the best from your internet connection. A strong and stable WiFi connection is essential for modern life. Everyone wants reliable WiFi access that will work without any intervention, because we’ve all experienced the pain of losing connectivity. It’s easy to feel like you’re out of your depth if something starts to go wrong with your internet access. Networking upgrades can often seem daunting, but Whole Home WiFi couldn’t be easier to set up and use – the entire thing is done from an app. Whole Home WiFi comes with WiFi roaming, so that you are always connected to the fastest signal available. As you move around the house, your device will automatically be transferred to the strongest WiFi connection – something routers and range extenders aren’t capable of. A Whole Home WiFi system is made up of multiple ‘units’, which need to be dotted around your home to spread fast and reliable WiFi wherever you are. Setting up and controlling your Whole Home system couldn’t be easier – simply install the setup app on your smartphone or tablet and it will take you through every step. Never lose WiFi access in your home, smart roaming features make sure you’ll always have the best connection no matter where you are in your home. Where should I place the units? One unit needs to sit next to your current router or modem so that you can plug the two together. Then the remaining units are placed around your home to create a network that will cover every room. Each unit in a Whole Home WiFi system has been designed to look great, so that you don’t have to worry about hiding it anywhere. How is a Whole Home WiFi system better than a range extender? 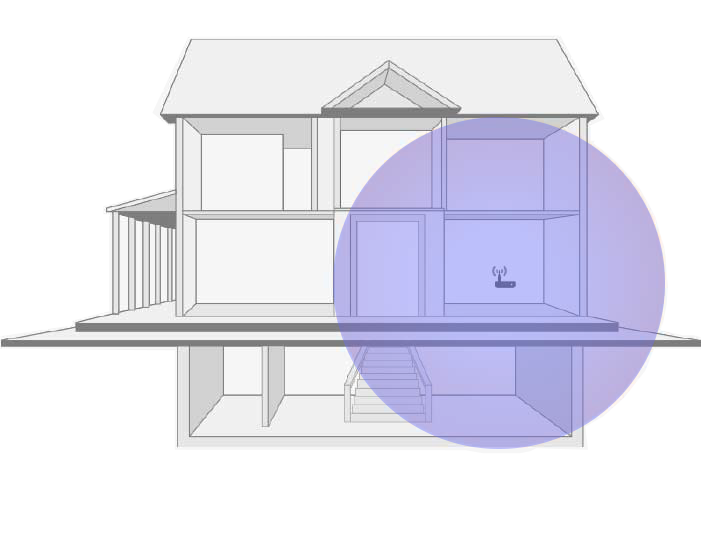 Range extenders work by boosting your router’s WiFi signal to other parts of your house. As a result, two different WiFi names are created and you need to switch between them, which can often leave you connected to a slower connection even if a faster one is available. Whole Home systems make sure you’re always connected to the best speeds without any switchover needed. Who would benefit from a Whole Home WiFi system? 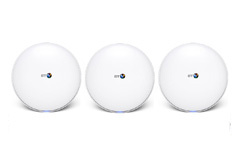 Whole Home WiFi systems work with any broadband provider and can be connected to any existing router, including the one your service provider has given you. Whole Home works with the equipment you have so that you don’t have to replace your old system - all you have to do is connect any external devices (like phones and laptops) to your new WiFi connection. It’s best to delete the router’s WiFi so that you don’t accidentally connect to the old system. Do Whole Home WiFi systems offer advanced configuration options? For advanced and expert users, Whole Home WiFi systems allow you to adjust advanced options such as VPN, QoS, Dynamic DNS, DHCP and more. One of the easiest ways to do this is to replace the router with a faster one. 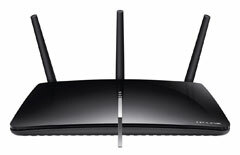 If you’re using the router supplied by your service provider or haven’t upgraded in a while, it might not be suitable for HD media streaming, online gaming or be able to provide a stable connection to all your online devices at once. Look for one with a high AC speed rating for the fastest Wi-Fi currently available. 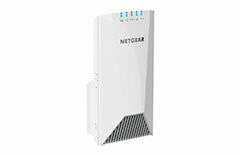 If you can’t maintain a connection on your tablet while browsing upstairs and your Wi-Fi keeps dropping out so wireless streaming is unstable, a range extender or powerline kit can help. They both extend your wireless signal further into your home, but work best for different things. Range extenders are great for improving a weak wireless signal and sending it further into your home. They don’t need setting up and are plug and play. Powerline kits are ideal for smart TVs and online gaming where you want a wired connection for fast broadband speeds. They turn any plug socket into a broadband point and saves you the hassle to cable around the house. Powerline kits come in wired and wireless variants. The built-in wireless card on an older laptop or desktop won’t be able to make the most of AC-speed or dual-band routers. Wireless cards and adapter are rated just like routers, so look for one with the fastest rating as it will connect at the maximum speed to get the best Wi-Fi connection possible. For laptops, a wireless adapter simply plugs into any spare USB port and improves the stability, range and speed of your Wi-Fi connection. While there’s nothing wrong with using a USB adapter with a desktop PC, most have space inside the case for a wireless card. They plug into a PCI-Express (PCIe) slot and deliver all the benefits of a USB adapter without taking up a port. You can set your home’s heating from the office, adjust the lighting in seconds using your tablet or monitor your property from anywhere in the world. The possibilities are endless, so why not discover how to create a truly connected, modern home. To ensure you have the best Wi-Fi around the house for all your smart home control gadgets, upgrade to a Whole Home Wi-Fi system as it ensures complete Wi-Fi coverage and at the fastest speeds.